Place the shrimp in a large bowl. Stir garlic, red onion, serrano chiles, celery, and cilantro. Mix in Clamato juice, ketchup, and lime juice, and hot pepper sauce. Season with salt. Gently stir in avocado. Cover, and refrigerate 2 to 3 hours. Serve in one large bowl or ladle into individual bowls and eat with crackers or on top of a fried corn tortilla for a delicious tostada. Your family and friends will love it. 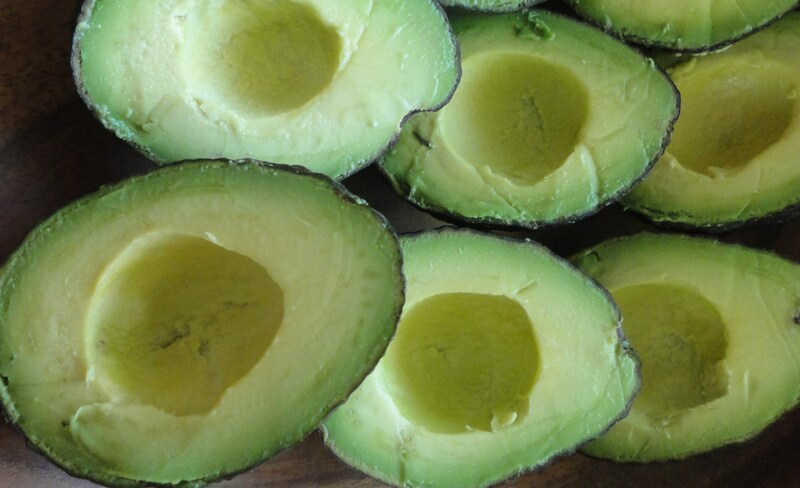 “Aguacate Lindo y Querido Recipe Contest”! Avocados from Mexico invites you to celebrate the taste of tradition with the “Aguacate Lindo y Querido Recipe Contest”! All you need to do is create an original Mexican-inspired recipe using rich and creamy Avocados from Mexico, snap some photos, name your dish, and enter your recipe using the form here. Enter for a chance to win $500 and a trip to Houston in September for private cooking classes with Mexico’s renowned Celebrity Chef Aquiles Chavez, at his new critically acclaimed restaurant The Fisheria. Aquiles is the host of Aquilisimo and El Toque de Aquiles, two of the most watched cooking shows in Mexico, which can be seen in the US on the Utilísima network. ALL participants can enter their recipe any time between 9:00 am ET on Monday, May 14th through 11:59 pm ET on Friday, May 25th.